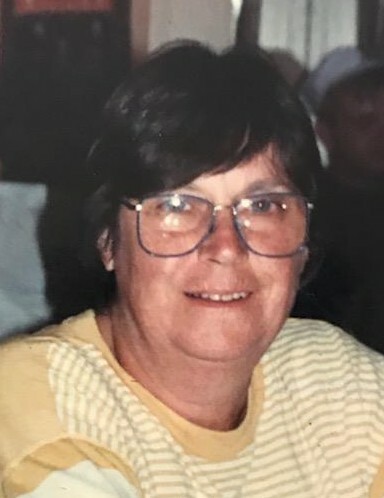 Donna Marie Vargo (nee Griffiths) 78 of Whiting, passed peacefully from life into the arms of Jesus her Savior on Monday, January 14, 2019 with her family by her side. She was the loving mother of Jim Vargo, Karyn (Joe) Mastey and their children, Kevin (Jaimie) Mastey (and newborn daughter, Natalie Marie, born on January 14, 2019), Sarah (Rory) Groessl (and their children, Kalynn, Lauren and Levi) and Kelly Mastey; dearest sister of Rosalie (John) Harrington. She was preceded in death by her parents; son, Greg; grandsons, Greg, Jr. and Alex; her brother, John; and niece, Patti. Donna was born on July 30, 1940 in Chicago, Illinois to Marie and Richard Griffiths. She lived in Whiting, Indiana for the past 50 years and whole-heartedly poured herself into whatever she was doing from raising three children; her business, “Independent Safety Escorts,” coaching Robertsdale Little League, or caring for her grandchildren. She endured hard losses in her life with strength and grace. Private graveside services will be held on Friday, January 18, 2019 at Mt. Hope Cemetery, Chicago.